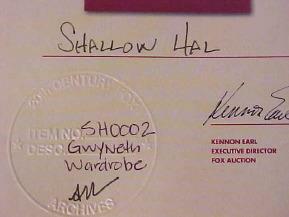 #3124 - Original Gwyneth Paltrow Wardrobe from movie "Shallow Hal" - Authenticated - Autographed - comes with original Movie Poster and COA! Are you a Gwyneth Paltrow groupie? If so, join the club. She's as close as you can get to Audrey Hepburn in these days of plastic breasts and butts. A breath of fresh regal air! Just plain Class. So, look what I have for you. 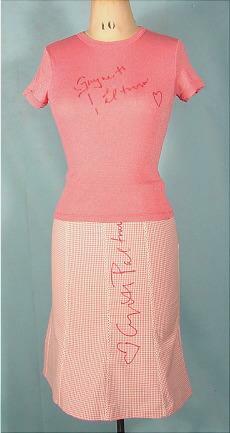 The original pink 2-piece outfit from the Shallow Hal poster, worn by Gwyneth. 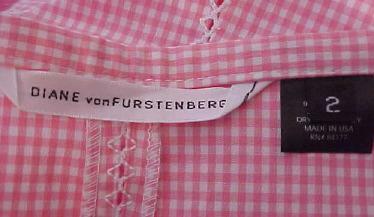 Both the pink stretch t-shirt (size small) and the Diane Von Furstenberg pink cotton checked skirt (size 2 - what did you expect?) 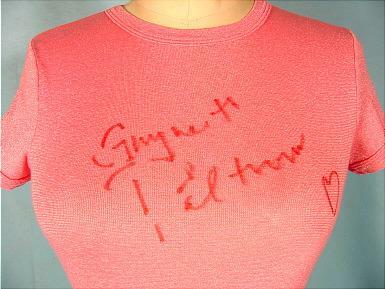 are boldly autographed by Gwyneth with her entire name and sweet little heart. This outfit comes complete with a COA (Certificate of Authenticity) from 20th Century Fox... as well as the original poster (I like to give you as many elements for authentication as possible!). 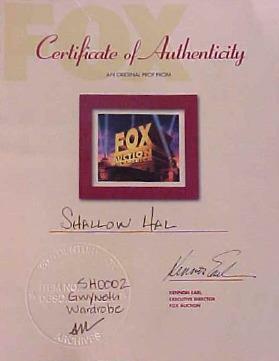 A wonderful piece of Hollywood memorabilia! 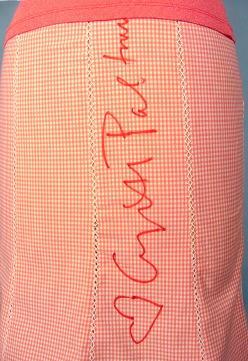 A great gift... for you! Fabulous enough to frame! Excellent condition.